#1: If you haven't had a chance already there is a wonderful Giveaway by Lap of Luxury! It ends this Friday so be sure to fill up all of those entries for more chances to win something cute and that you absolutely love from Melody's shop! 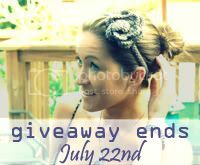 Click on the button below to bring you directly to the Giveaway! #3. 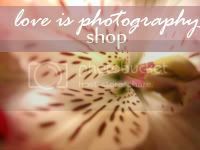 If you haven't visited Love is Photography lately, you'll be happy to find new photos! I've been working really hard on adding more photos that you all will love! Click on the button below to bring you to my Etsy Shop! #4. One of my best friends who I've known since I was 2 is going to be my Guest tomorrow at Love is Everywhere. Be sure to come back and visit to meet Matt from Green Eats Blog.